This is the first Watership Down fanfiction I wrote, before I joined FHC, before I had read TFWD or seen the WD film and TV series. I wrote it between 24 December 2014 and late February 2015. I have finally decided to post it, after Bright Side's encouragement. I have made some minor changes, but this remains mostly the same as it was when it was first written. I hope to post a new chapter each Sunday, for seven weeks. This takes place in the summer following the events of the book. I try to reference the TV series on a few occasions, although I hadn't seen the series at the time (I had just read a few short articles on the Internet), so I failed, somewhat. It is inspired by an old Geocities site run by “Christopher Auk”, that was brought to my attention by David “Loganberry” Buttery. 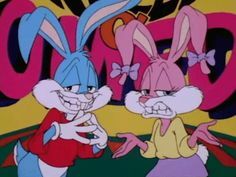 This fanfic may be called “Big Brother on Watership Down” like the original Geocities site, but I never watched Big Brother, so it will probably be quite different from the BB TV series (and the Geocities site). "When we least expect it, life sets us a challenge to test our courage and willingness to change; at such a moment, there is no point in pretending that nothing has happened or in saying that we are not yet ready. The challenge will not wait." The warren was cold and dark, and there was nobody around. It was freshly-dug, and it carried no scents. That morning, seven rabbits arrived slowly near the warren. They had been led there by a large bird, and they had spent the entire night travelling. -”Now, Kehaar, why did you bring us here?” asked Hazel. -”You mean Prince Rainbow asked us to come here?“ said Bigwig with a gasp. -”I...hope these are not the Marshes of Kelfazin...is it, Hazel?” said a trembling Pipkin. -”No. That can't be. It is too dry,” replied Fiver. Silverweed turned his head and stared blandly at the large rabbit who was following him, struggling to keep up with the young buck. A young doe was running in the rain with a big strong buck. They had been away from their warren for days, and they were in this strange new country where they had never ventured before. They were lost, and they were getting exhausted with the rain soaking their fur. While they were nibbling a patch of dandelions, lightening struck a nearby tree, which fell right into the river. The trunk acted as a dam, causing the water level to rise rapidly. The rabbits were swept away by the current before they could realize what was happening. The next few minutes were full of terror. The water was very cold, and the rabbits were struggling to stay afloat. Eventually, they blacked out. When they regained consciousness, they realized that the current had carried them to the riverbank just before they would have fallen down a waterfall. It had stopped raining. They got up and walked away. Neither of them spoke; they were both thinking of the terrible ordeal they had just gone through. A few minutes later, they came upon a small warren. It seemed deserted, but they didn't care, they just wanted a place to rest. They entered the first burrow they could find and fell asleep almost instantly. A while later, Campion was suddenly woken up by the sound of another rabbit stamping. He turned and saw the shadow of a large rabbit, much larger than him, blocking the entrance. He charged at and attacked the newcomer, until he saw his face. It was General Woundwort. -”Of course I'm alive, you fool! Did you seriously think that I could die? Well, to say the truth, I did die, but after a while, I was tired of being dead, so I challenged the Black Rabbit of Inlé to single combat. I nearly killed him, and he was forced to send me back to the world of the living so I would leave him alone. I found this warren, and I thought it would be a good place to rest. Now get off me, before I make you!” he replied, as he shoved the captain away. -”No smell of disease, no elil nearby...it just doesn't make sense!” added Vilthuril. -”I seem to recognize these voices from somewhere, but I can't remember where...” said Bigwig. The voice rang out from somewhere ahead of them, resonating throughout the entire warren. Several rabbits immediately recognized it. -”Bigwig, whatever happens, please don't fight them. We already have enough things to worry about without you starting a fight,” warned Hazel. One by one, they entered the central chamber where Cowslip and Silverweed were. It was a very large burrow, much larger than the great burrow at the Warren of Shining Wires, except that, strangely, there didn't seem to be any tree roots, or anything else, holding the roof and preventing it from collapsing. The rabbits were ill at ease. Nobody had forgotten the events at the Warren of Shining Wires the previous year. Cowslip, remembering how he had nearly been killed by Holly, was afraid that Bigwig might pounce on him at any moment. The does, despite having never visited that warren, knew that it was a dangerous place, from what they had heard. Everyone stayed silent for a few minutes until they heard someone else approaching. Campion, Nelthilta and Woundwort entered the great burrow. -”Well, looks like we've got company!” said Nelthilta. He lunged at Bigwig who, although startled, managed to fight back rather well. The General was still weak from his fight with the Black Rabbit, and could not attack as well as he used to. Suddenly, a bright light flashed in the centre of the burrow. All stared at it in amazement. There was no hole in the roof for it to come through, so its presence was rather mysterious. It was made of a thousand different colours, most of which the rabbits had never seen before. Even the General stopped fighting to see what was happening. All gasped in shock: Woundwort was much stronger than they all thought, even managing to defeat the Black Rabbit himself! -”But you STILL haven't explain what we're all doing here. Or where we are, for that matter,” asked Hazel. -”Cowslip, I wasn't talking to you, and I can ask where any time I want!“ shouted Hazel in frustration. -”So, essentially, we're prisoners?” asked Bigwig in an angry voice. -”Never mind, he can have it all to himself! I'll just dig my own, even if bucks aren't supposed to dig,” mumbled Bigwig. Looks like we have ourselves in a predicament. This was a really good story, dear. ^^ Keep up your awesome work dear. Very nice. I like how you introduce all the different POVs, which builds up suspense and excitement. It's not easy to stop reading. The conclusion of the chapter lends its way to all sorts of creative paths the fanfic can take, and I don't expect to be disappointed! What I did not expect is that the general was here! Not even Cowslip, the only rabbit I really do not like. The next morning, all the rabbits were almost as tired as they were the previous day. The mere thought that they were being held prisoner in a strange warren by Prince Rainbow was enough to keep most of them awake. Also, without anyone to snuggle with, the private burrows were uncomfortably cold. Hazel was determined to sleep with Hyzenthlay the next evening, regardless of Prince Rainbow's opinion on the matter. The voice resonated loudly in all burrows, almost as if they were equipped with a powerful sound system. Groaning and mumbling, all the exhausted rabbits made their way to the great burrow. -”I think you're all wondering where (SHUT UP COWSLIP) Silverweed is?” said Prince Rainbow. -”You mean you actually sleep?” asked Pipkin. Meanwhile, Silverweed was running through the grass near the Warren of Shining Wires. During the trip, he had had a long talk with Kehaar, and realized that the way of life he enjoyed at the warren was not as great as it seemed. He had been taught at a young age that the shining wire was the only way of life, but he had been proven wrong. Kehaar had talked about the amazing warren at Watership Down, how everyone there was happy, and lived in complete freedom. Silverweed's warren, however, was the exact opposite, and full of suffering. With his mystic powers, he was the only one who could put an end to it. With a little bit of luck, he might even be able to convince his friends to rescue the Watershippers from Prince Rainbow's terrible warren, and finally redeem himself after all the harm he had done. Without Cowslip around to interfere, it shouldn't be too hard. Everyone turned and stared with fear at the little rabbit. Many were afraid that he was a ghost, having died in a shining wire, and that he had come back to haunt them and punish them for their unnatural ways and their bad deeds. However, there were no signs of injuries on his body, so they soon accepted that he was still alive. He started his poem, and the words captured their hearts. However, none of them moved, as if they were being held there by an invisible force. Prince Rainbow's challenge was worse than expected. The rabbits had to fight each other in single combat until two of them were too weak to continue; the last one was the winner and would receive some flayrah. Bigwig and Hazel didn't mind fighting Cowslip, but fighting each other was another matter. The first fight was between Bigwig and Cowslip. Cowslip, remembering how he had nearly been killed by Holly the previous summer, was terrified. He was so afraid that he went tharn in the middle of the fight, and was instantly knocked unconscious. Just as Bigwig was about to deliver the final blow, he was struck by a fireball. -”I said that you were to fight, not KILL each other!” said Prince Rainbow with a growl. With Cowslip unable to fight Hazel, the next fight was between Bigwig and Hazel. The captain of owsla looked at his chief with sorrow. -”I'm out? What are you talking about?” said Bigwig, confused. The General would have wanted to kill Hyzenthlay on the spot, but he knew better. She seemed able to hold her own in a fight, and with all the others on her side, he wouldn't have a chance. Even Campion had deserted him. He would have to take his time to plot revenge: he still wanted to bring the does back to Efrafa and take back control of the warren, probably killing Campion in the process. But for the moment, he did not react and simply went back to his burrow. Campion, Clover and Nelthilta were wandering through the woods, scanning the area around them for potential dangers. The patrol had been assembled by Prince Rainbow, as the second challenge the rabbits would have to face, a few hours after Bigwig was evicted. The goal was to notice as many things as possible and report them to Prince Rainbow, with the winner receiving some flayrah, and the loser being evicted from the warren. Campion, having a lot of experience from his numerous wide patrols, was doing very well. Nelthilta didn't have as much experience, as does were not allowed in the owsla under the reign of General Woundwort. Clover, meanwhile, stayed apart. Having spent most of her life in a hutch, she hardly had any experience in patrolling. There were many smells, but she was unfamiliar with most of them, and she was awfully worried about her kittens. She knew that her mate Holly, and another doe Thethuthinnang, were at the warren and could take care of them, but the fact remained that at such a young age, kittens need their mother. She waited until the patrol was in an area with a lot of cover, then she made a dash. It took a few seconds before Campion heard rustling in the bushes and saw the doe running away. Just as he was about to run after her to catch her and bring her back, Prince Rainbow intervened. Clover kept running, without stopping, or even bothering to check for elil. But she was quickly losing her strength. Back at the farm, she never had the opportunity to run, and this was the first time she had left the warren on Watership Down since she had first arrived there the previous summer. She had no experience in travelling long distances, and she knew she couldn't keep going much longer. Suddenly, she crashed into another rabbit. She had not seen him or smelled him until it was too late. She quickly got up and examined the body. The rabbit, who had been knocked unconscious by the impact, was a buck, rather big, and with a few recent scars, as if he had been fighting some type of elil. She then noticed an unusual overgrowth of fur on his head; it was Bigwig. She could not leave him there; she would have to carry him. After spending a while trying to get him on her back, she started walking again. She did her best to move forward, but he was twice as big as she was, and he greatly slowed her down. Suddenly, she saw some rustling in the nearby plants. She was sure it was a homba or some other type of elil, who had been following them for some time, and was getting ready to pounce. She could not smell anything unusual, but her sense of smell had been weakened by the strong scents of the farmyard, most of which she had never managed to identify. It was not elil. It was another rabbit, but she didn't see him. By the time he revealed himself, she had already gone tharn and blacked out. Meanwhile at the warren, the patrol, which was now down to two rabbits, came back with the sad news. Everyone was filled with sadness and anger, and several rabbits wanted to go look for Clover, but Prince Rainbow forced them all back underground. Since Campion and Nelthilta did not finish their patrol, the challenge was left without a winner and no flayrah was distributed that day. The rainbow prince must have good reason to do these tests. Make friends fight against each other: Hazel vs. Bigwig. Send patruya to Campion and Nelthilta. I feel sorry for Clover who is so worried about his baby bunnies. Thank you Acacia I'm glad you liked the second chapter. The next morning at silflay, Pipkin was wandering around the warren looking for dandelions, when he spotted a large rock hidden in the grass. He wondered where it came from, since he could not recall seeing it the previous evening at silflay. He began smelling it, until Prince Rainbow halted his inspection. All the rabbits who were outside, not allowed to touch the rock, instead examined it from a distance. They noticed that several other objects had appeared during the night, including other rocks, a hollow log, and a large number of twigs. It did not take long for Prince Rainbow to prove that Fiver's first prediction was right. The next challenge involved running through the log, jumping over the rocks and breaking as many twigs as possible without using one's teeth. Hyzenthlay was the fastest of the three rabbits who participated, and quickly went through the log towards the rocks. Campion followed. While he was a great fighter, running was not his strength, and it took him a little longer than Hyzenthlay to complete the first part of the challenge. Pipkin, full of energy, ran through all the logs as fast as possible, even managing to squeeze past Campion due to his small size. Hyzenthlay slowly climbed to the top of the stones, before jumping off. Once she was done, she began breaking the twigs extremely fast, using her claws. Having a lot of experience with digging, her claws were very sharp and very effective. Campion jumped over the rocks without touching them, and started breaking the twigs. He was rather annoyed at not being allowed to chew through them, but he still managed with his claws, although rather slowly. Meanwhile, Pipkin was struggling to make it past the rocks. While the smaller ones were no problem, the largest one was a massive challenge. Hazel wanted to go and help him, but Prince Rainbow threw a fireball right in his path to prevent him from doing so. A few minutes later, Pipkin finally made it to the top of the stone, and jumped off. However, while propelling himself off it, he ended up pushing the rock, which started rolling straight towards where Campion was standing. The General stood petrified for a few seconds, until he was struck by a second fireball, at which point he dashed towards the path of the rock, but encountered only thin air, followed by the worst pain since his fight against the dog Hazel had unleashed on his owsla. There was no longer any rabbit in his path. It turned out that, as soon as she had noticed the rock, Hyzenthlay thew herself into Campion's body, pushing them both out of the way and leaving Woundwort to experience the full blow. However, the two rabbits had crashed in the middle of a pile of sharp twigs. Campion felt a strong pain in his back, while Hyzenthlay was mostly unharmed, since his body had acted as a cushion of sorts. -”Why did you save me?” said the captain of owsla. Pipkin watched the entire event with shock. While he hated the General, he felt terrible for being responsible, although indirectly, for his death. Then, he saw the rock move. Out from underneath it came a heavily scarred Woundwort, who stared directly at Prince Rainbow. He then turned to the patch where the twigs once lied. Now, there was nothing but a pile of fragments, most of the twigs having been destroyed when Hyzenthlay and Campion had landed on top of them. The others had been crushed by the rock. All turned to see from where this new, yet strangely familiar, voice came from. Everyone gasped when they saw the rabbit who was standing at the edge of the warren. Avens was on sentry duty in Vleflain. The warren was part-Efrafan, part-Watership, and was the first of a long list of a measures to bring the two warrens closer after the end of the war. The former Efrafan captain had had the honour of bringing the first band of Efrafans to the warren with him a few months before. He suddenly saw a large gull appear overhead. Just before he could stamp out the alarm, he realized that it was Kehaar, who was perfectly harmless. Avens quickly assembled a patrol with the first few rabbits he could find, and started out in the direction indicated by Kehaar. After a few minutes, they finally made it to the place where the pair was last seen, only to find both rabbits lying unconscious in the grass. The patrol carried them back to the warren. As soon as everyone was assembled inside the hall, Bigwig and Clover began telling them the story of everything that had happened at Prince Rainbow's terrible warren, and how all the others were still trapped there. Most of the rabbits had trouble believing what they had just learned, especially Dandelion: despite being the warren's storyteller, he had never heard of Prince Rainbow organizing such challenges. -”Well, one thing I DO know is that I will not let them stay there!” proclaimed Bluebell, as he burst into a run. Bigwig dashed towards Bluebell, but was held back by Blackberry's firm paw. -”Bluebell! What are YOU doing here?” asked Hazel in shock. The rabbits spent the rest of the day calmly inside the warren. They ate a little bit of flayrah, but they were rather worried because there was only a small amount of it, so they saved most of it for later. They played several games of bob-stones until they all drifted to sleep, only to be suddenly woken up in the middle of the night by a bright light and a loud voice. -”If you weren't Prince Rainbow, you wouldn't be able to pronounce that,” said Nelthilta with a smirk. Most of the rabbits had already fallen asleep in the central chamber before Prince Rainbow even finished explaining the results. It had been an exhausting day, and several were still shaken up after the incident with the rock. Actually, nobody had noticed the young buck's absence, with the possible exception of Cowslip, who was doing his best not to think about it, just like every time a rabbit went missing back at his warren. Hmm, it's interesting that Silverweed escaped. I like that separate plotline. This could be worded better. I had to read it a couple times to get what Woundwort was saying, and it seemed to come out of nowhere. The goal was to notice as many things as possible and report them to Prince Rainbow, with the winner receiving some flayrah, and the loser being evicted from the warren. The challenges are creative, and I like them. I like that we see rabbits get kicked out one by one and wonder who'll be left standing. Though, if you think about it, wouldn't you WANT to lose if you get to leave the burrow? It was another rabbit, but she didn't see him. By the time he revealed himself, she had already gone tharn and blacked out. The next challenge involved running through the log, jumping over the rocks and breaking as many twigs as possible without using one's teeth. Everyone gasped when they saw the rabbit who was standing at the edge of the warren. 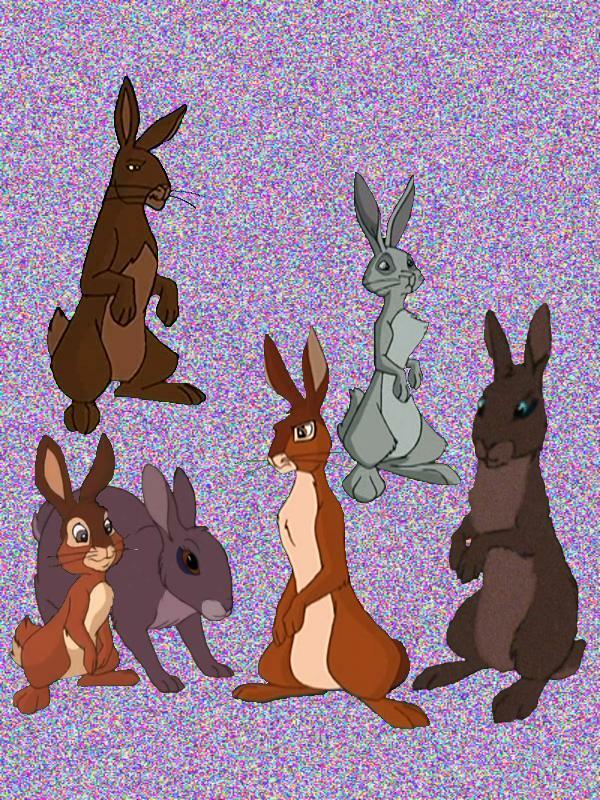 I like that Clover and Bigwig, and this other warren, told the folks back at Watership Down. More interesting plot development. And good job getting Bluebell over in the strange burrow! -”NOT SO FAST!” barked Prince Rainbow, as he hurled a fireball into Bluebell, knocking him down. The way he throws fireballs at rabbits is cool. -”SHUT UP! Do not insult me, it is strictly forbidden and will be punished severely! You make a valid point, this could have been handled better. That emoticon No, I don't think you overlooked anything. It seems I just forgot to mention it It's supposed to be Avens. Just finnished reading chapter three, and I must say, it's pretty exciting! Love the way you combine three perspectives to one after all, and contain this method also in chapter 3, like with Bluebell. The transitions are fluent. Also I love the idea, I'm really curious what other challenges he will have for them, who might win, and what the whole point about that will be. Very curious if Blackberry will work out a plan to rescue them.